When I was growing up we always had a real Christmas tree. My parents would drag me and my brother out to a Christmas tree farm so we could experience the joy of picking out our own tree and cutting it down. What usually happened was that my parents would find a tree they thought was okay but they weren’t sure if it was the best one so they would ask me to stand guard while they kept looking. My brother would end up standing guard next to another tree. It seemed like hours until they finally returned announcing they had found the best tree. In reality it was probably only 5 or 10 minutes. When we got home my brother and I were always eager to decorate the tree right away, but we had to wait until my parents leveled the bottom, put the tree in a bucket, knocked the tree over and spilled all the water out of the bucket, exchange a few interesting words with each other and then finally put bricks in it to keep it from toppling over again. Then the decorating would begin. 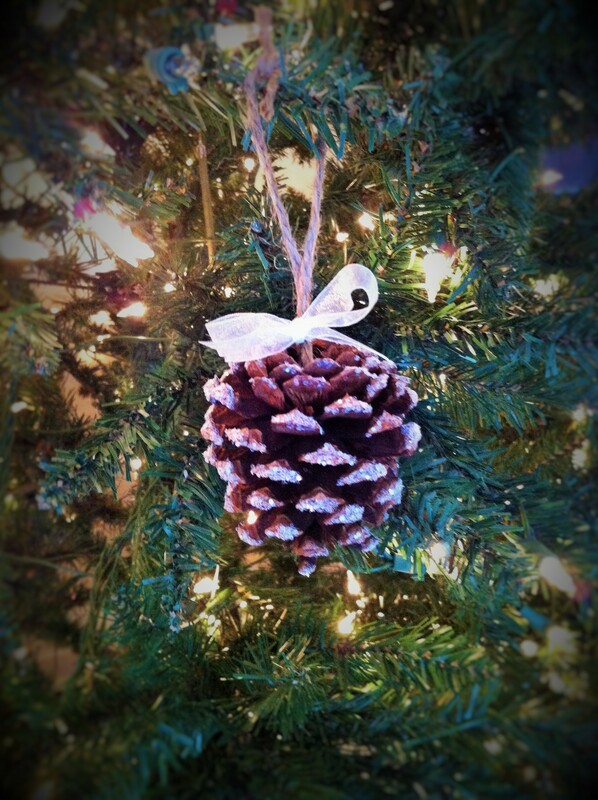 Decorating with my family while listening to Christmas carols was our family tradition. It’s those traditions that make each year exciting. Due to Sofie’s pine allergy we always have a fake tree. I love it. Easy set up, no pine needles giving me hives and the tree is pre lit so I don’t have to worry about stringing lights. Every year I tape the Macy’s Thanksgiving Day Parade for the kids so they can watch it while we decorate. We sing and dance with the performers and the kids are always thrilled to see Santa at the end of the Parade. We also try and make out own ornaments each year. 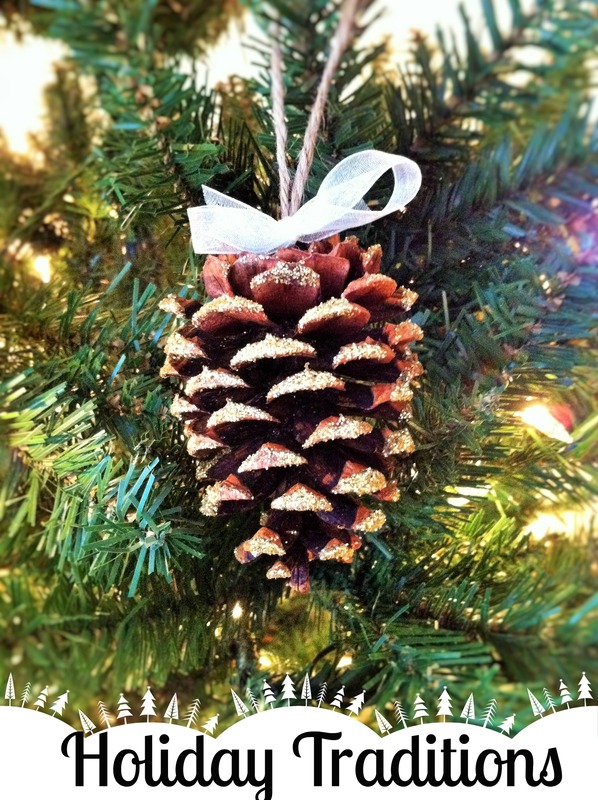 This year we used cinnamon scented pine cones and glitter to create some real beauties. 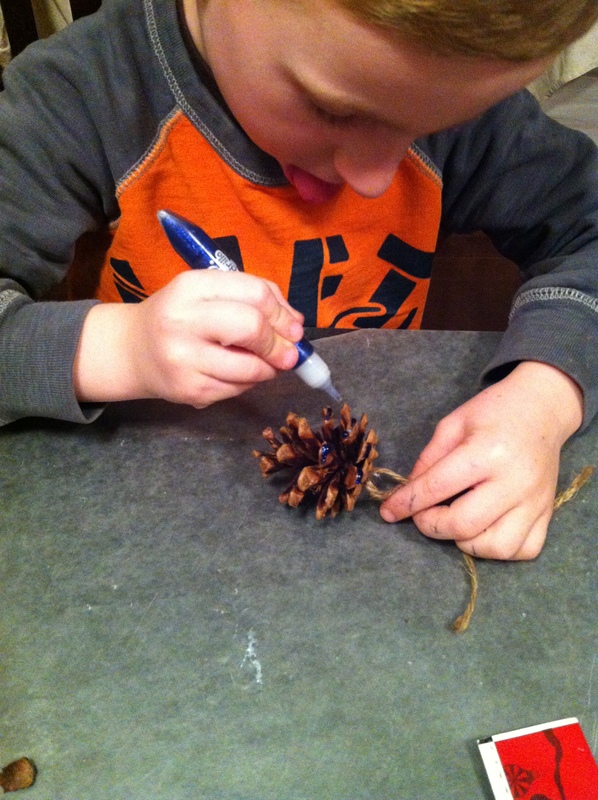 Callum’s use of glitter has been restricted due to his urge to spill everything that is incredibly hard to clean up so he used glitter glue instead. 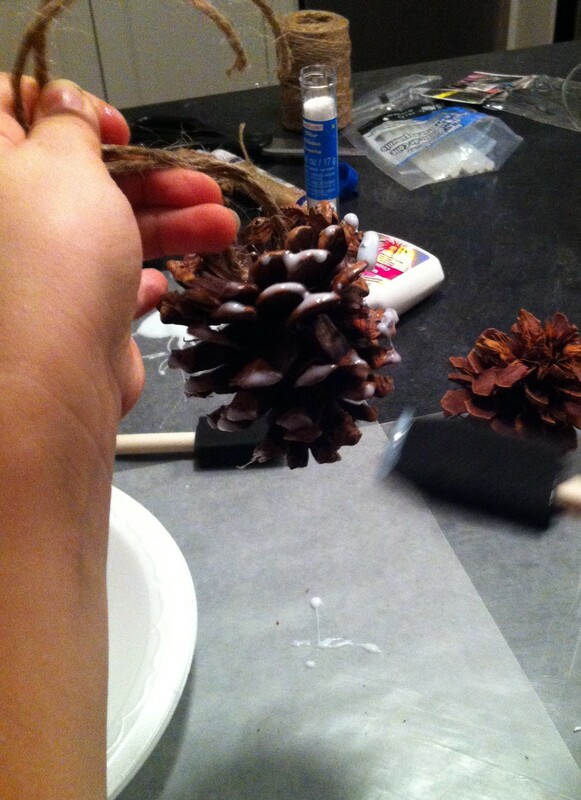 We started with pinecones from Michaels. It was $5.99 for a bag of 20 but I had a 40% off coupon. 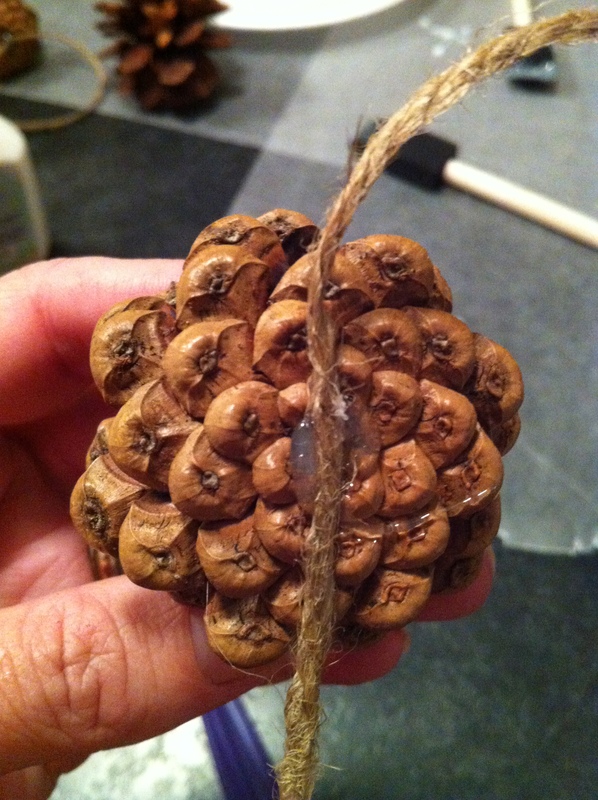 The glitter, glue and jute twine came from the dollar store. Grand total for the ornaments was $6.59! We started a new tradition this year. I’m not sure how long it will last but for now it is pretty fun to see the kid’s reactions. 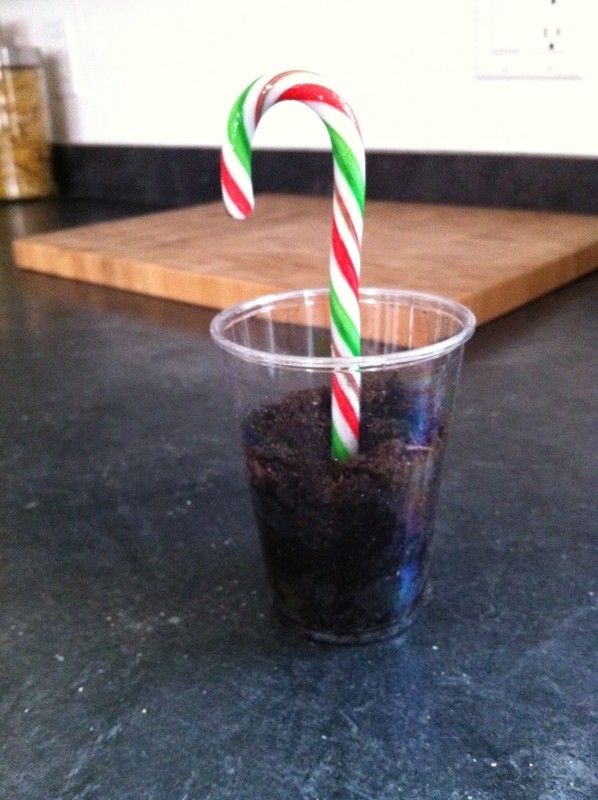 While scrolling through Pinterest one day I found a link to grow your own candy canes. I was intrigued to say the least. 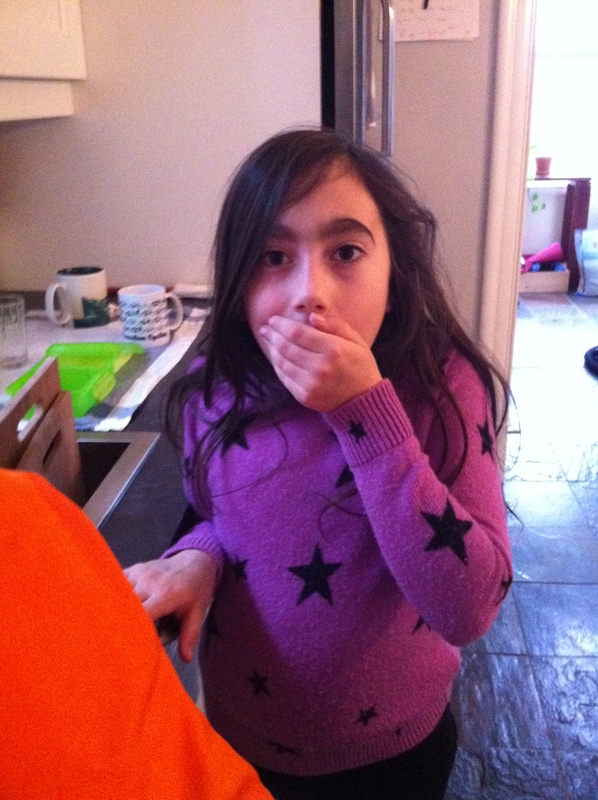 I told the kids that about it and they were sceptical but willing to give it a try. 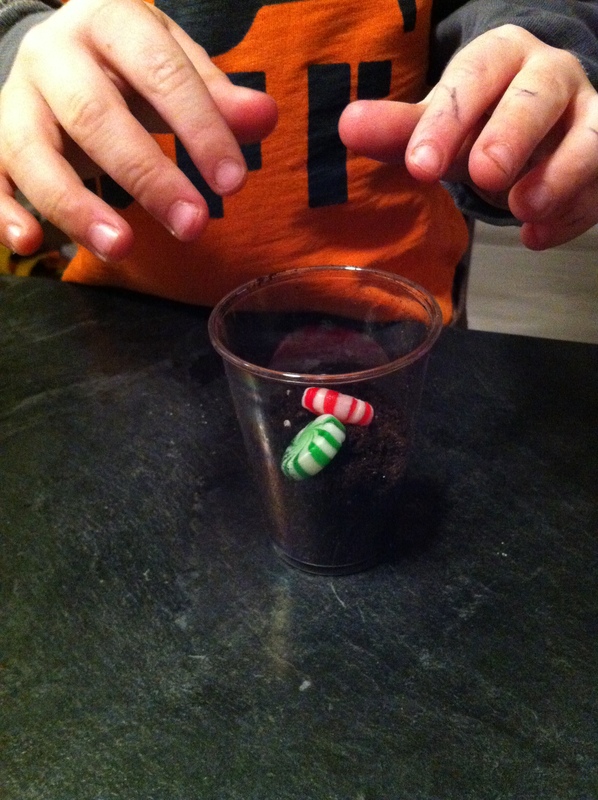 Every day the kids were amazed at the changes and that their candy canes were actually growing. This is what the holidays are about. Watching kids experience the magic and joy of something so simple.